Kayla Wolf for Shaw Media - Huntley senior Luke Mahnke spikes the ball Monday May 1, 2017 during a home game against Harlem. 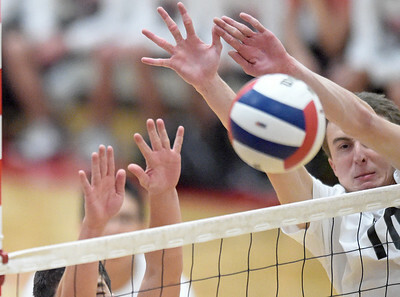 Huntley lost two of three sets. 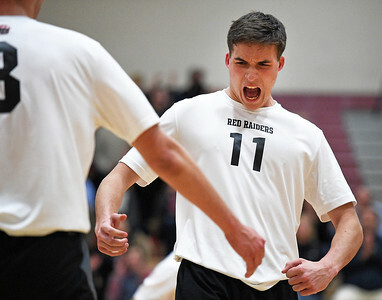 Kayla Wolf for Shaw Media - Huntley junior Charlie Johnson celebrates a point Monday, May 1, 2017, during a home game against Harlem. Harlem one two out of three sets. Kayla Wolf for Shaw Media - Huntley senior Diego Vargas prepares to bump the ball Monday May 1, 2017 during a home game against Harlem. 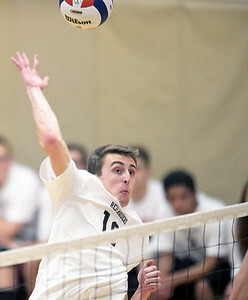 Huntley lost two of three sets. 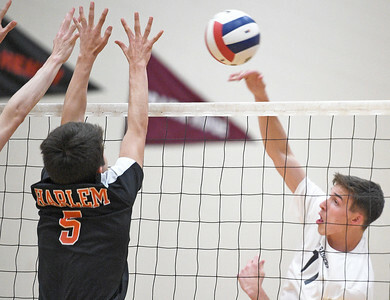 Kayla Wolf for Shaw Media - Huntley junior Charlie Johnson gets the ball over the net during a home game Monday May 1, 2017, against Harlem. 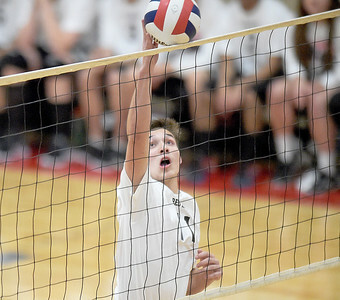 Huntley lost two of three sets. 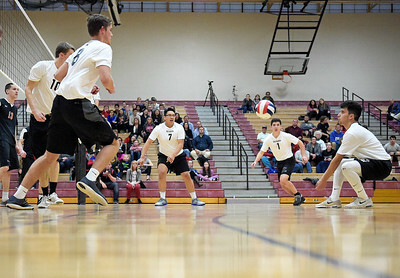 Kayla Wolf for Shaw Media - Huntley senior Luke Mahnke, right, and Juan Collazo block the ball Monday May 1, 2017, during a home game against Harlem. 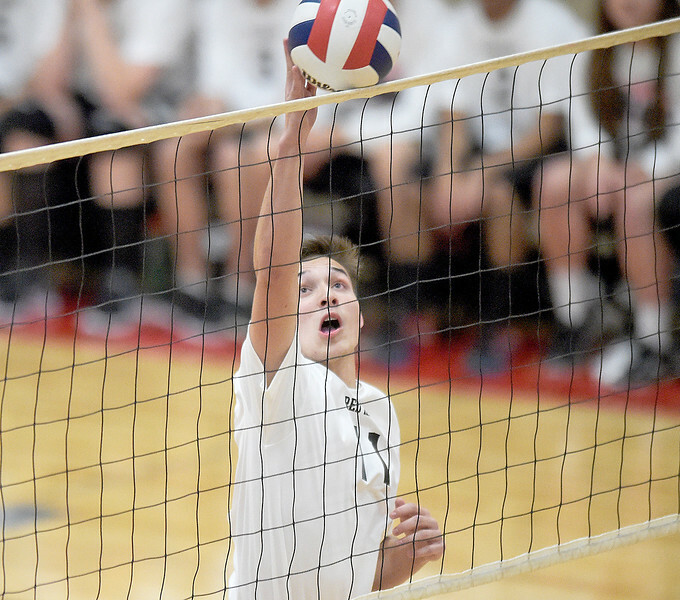 Huntley lost two of three sets.